Dog owners know the joys of having a dog. But there is a price to be paid for those joys. The main one is that until someone learns to potty train dogs, you are going to have to take your dog outside to go to the bathroom. And if you are a responsible dog owner, you know you have to pick up after your dog. This seems to be a responsibility that more and more dog owners are neglecting and it is very unsettling to me. 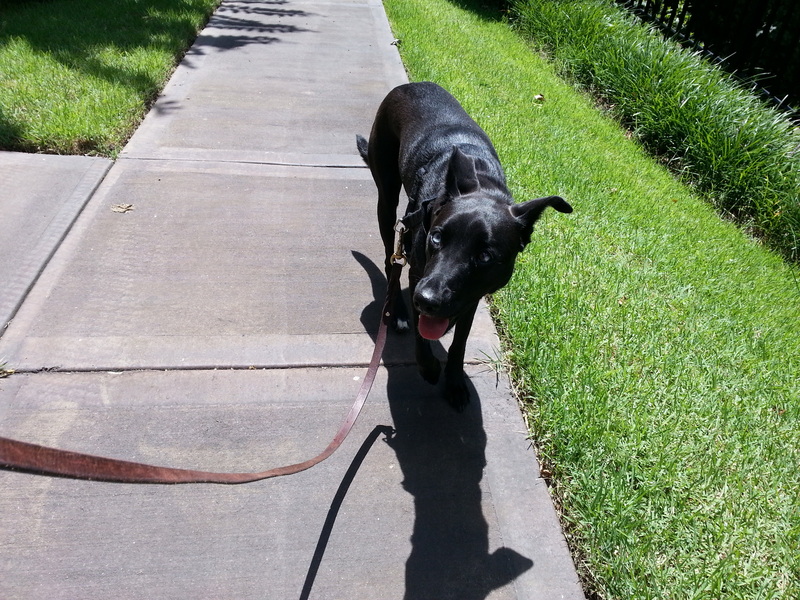 As a professional dog walker, I spend a lot of time walking dogs in many different locations. I have clients that have a big back yard, and we just let the dogs out there to do their business. But I have many clients that don’t have real big yards, and their dogs have to be walked and therefore, go to the bathroom, in public places. I’ve seen more and more instances of dog owners not picking up after their pets. Many counties and states have laws that require you to clean up after your dog, but these are being ignored. 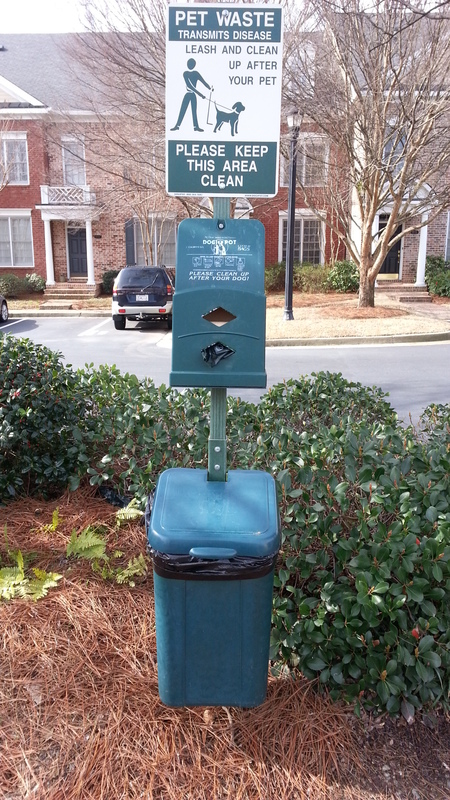 I walk several dogs in townhome/condo/apartment complexes and these places usually have pretty strict rules about picking up after your dog. Most of these complexes and even some neighborhoods of houses have stations around that have pick up bags on them, so the owners don’t have an excuse about not having a bag handy. I will say that all of my clients either have a bag dispenser on their leash or have a bag of bags to use by the leashes for our sitters to use when they walk the dogs. There are several reasons why it’s important for dog owners to pick up after their pets. The first and most obvious is the health reason. There are bugs, it can get washed into the water supply, it gets stepped in and tracked to other places, and other dogs are attracted to it. Those are just a few I rattled off the top of my head. Another one I think is important is that you should just do it because it’s the right thing to do. You don’t win any friends among your neighbors when they see your dog do its business and you don’t pick it up. It also causes a lot of friction among non-dog owners in the neighborhood. Associations may impose severe restrictions on pets and their owners, so a few bad apples may spoil things for the people who do take care of their pets. I have several friends who are pet owners in an apartment building. There are a lot of dogs in the building, and there used to be a lot of places they could walk their dogs. Now that area has been greatly reduced, and it’s caused some hardships for the pet owners, especially during inclement weather. They have talked about taking a DNA sample of all the dogs in the property and if any poop is found on the grounds it will be tested. The owner of the guilty dogs will be hit with a hefty fine and could even face expulsion from the complex. I think it’s absurd that the situation has come to where they are even thinking about doing that. If you have such a problem picking up after your dog, you should have never gotten one. It’s easy to get bags to pick up after your dog. All pet stores sell them. Big Lots and the dollar stores have them pretty cheaply. If you don’t want to pay for them, recycle the plastic bags you come across during the day. Grocery bags will work, as will produce bags. Also bags newspapers come in. Many people tie bags to their leashes if they don’t have a bag dispenser. Like I said my clients seem to be responsible owners but (Spoiler Alert!) I’ve already decided that’s what I’m giving as my gift to clients this Christmas. I don’t like to rant or sound preachy, and most of the violators probably don’t read my blog, but I got fed up about this and decided to vent. All you responsible dog owners, thanks for being that way and put some pressure on the people who you see who aren’t doing the right thing. Offer them a bag! 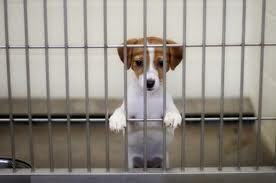 This weekend is National Pet Adoption weekend. Two of the largest pet supply superstores are taking a lead role in this. Petco is having centers at its stores. In the Atlanta area, the Georgia Homeless Pets will be at Petsmart stores in Smyrna, Austell and at the Bark Ave. Pet Resort in Smyrna. The Georgia Homeless Pets folks are at those stores every weekend. If you can’t make it by one of those places this weekend, there are several places you can go all the time to take home a rescue pet. The Humane Society of Cobb County is a place I do a lot of volunteer work and they have a few dogs, but a lot of great cats of all ages. 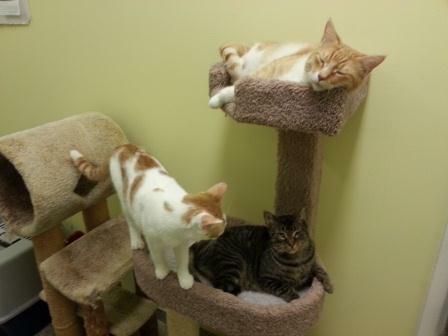 The Atlanta Humane Society in Midtown or on Mansell Rd in North Fulton has dogs and cats available. 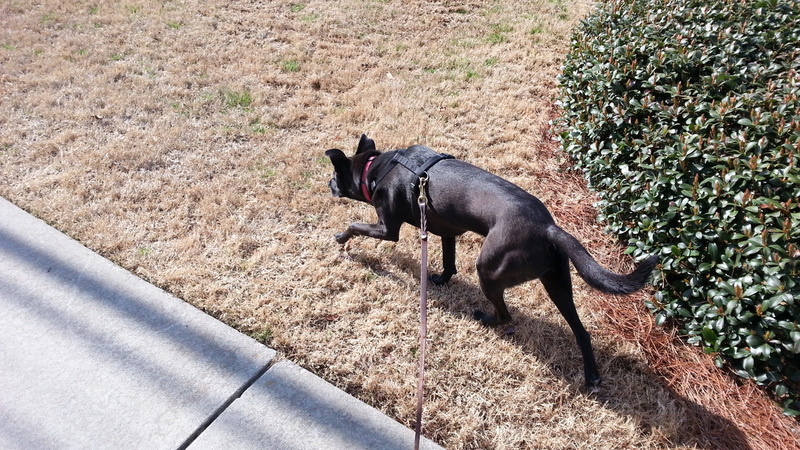 There are also many groups, like Mostly Mutts in Kennesaw that have pets for adoption. If you are looking for a specific breed, most of them have a rescue chapter in the Atlanta area. You can make a difference in a pet’s life even if you don’t take a pet home. Perhaps you can’t decide if it’s right for you to adopt a pet. 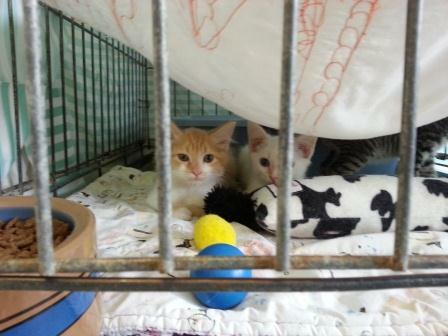 Several groups have fostering programs, where you take a pet into your home for a predetermined period. If that works out, you can decide to keep a pet permanently. Be aware that many times, the pet you are fostering may not be available for adoption, so know that in advance, so you won’t get too attached. Adoption agencies usually do background checks on the people who adopt animals, so it may take some time before you actually get to take the pet home. Many of these pets have been taken from a bad situation, so you can understand how the workers want to make sure that doesn’t happen again. If you just don’t want to have a pet in your home for whatever reason, but you still love spending time with animals, all of these organizations need volunteers and supplies. You can donate some time to make a difference in these animals’ lives and you’ll be surprised how much better they make your life too! 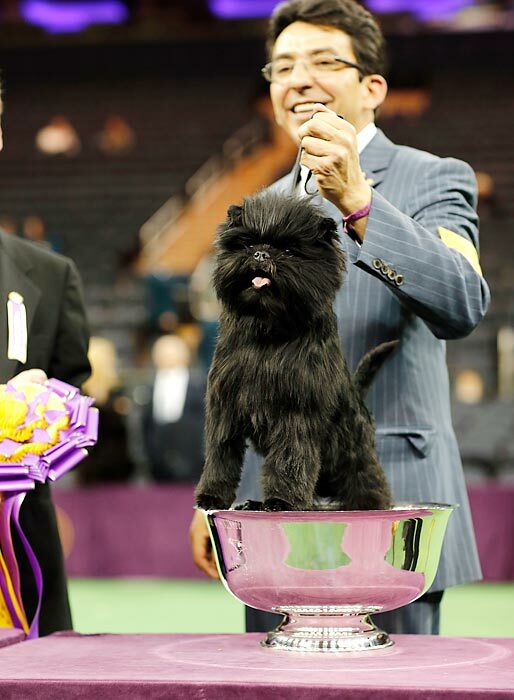 Banana Joe, a five year old Affenpinscher, won Best In Show in the 137th Westminster Dog Show on Tuesday night. 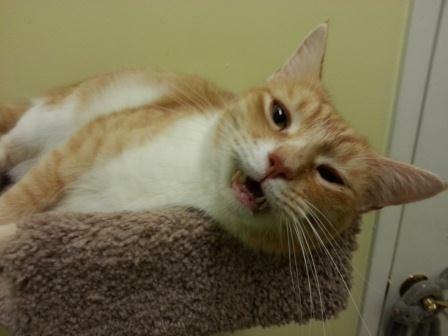 I don’t know if this helped, but his owner, Mikeje Cooijmans, says he speaks 4 languages. He lives in the Netherlands, so that may explain his multi-lingualism. I’m not very good with exotic breeds and there were 187 breeds represented out of the 2721 entries, but I had never heard of an Affenpinscher. I don’t have any as clients. There is an Affenpinscher Rescue group. According to the American Kennel Club’s website, the Affenpinscher is one of the most ancient of the toy dogs and originated in Germany and France. During the 17th century, they were used to kill rats in barns and homes. They were actually bred down in size. They are described as having a fun-loving, sometimes mischievous personality. They are very active indoors and most of their exercise needs can be met inside, but they like walks outside as well. They range in size from 9 to 11 ½ inches at the shoulder. 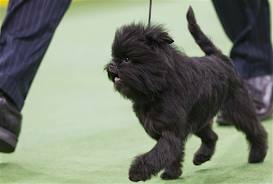 For more information about the breed you can go the Affenpinscher Club of America’s website. Banana Joe had entered the show the previous two years, but he finished second in toy group judging each time. However this win was the 86th Best In Show title for “Joe.” The crowd favorite appeared to be Swagger, a 20 month old English Sheepdog. Banana Joe’s full name is GCH Banana Joe V Tani Kazar. The banana reference comes because of the breed’s monkey-like face. Affenpinscher is translated from German as Monkey Terrier. Here’s a link to a video of his appearance on the Today Show this morning. If you have any experience with an Affenpinscher, I’d love to see pictures and hear about them. Tonight is the beginning of what many people think of as the Super Bowl for show dogs… The Westminster Dog Show. The 2 day event will be shown on CNBC Monday night and on USA Network on Tuesday. It has been televised since the 40s. A total of 2,721 dogs from all 50 states were entered this year. The highest entry breed is the Golden Retrievers with 61 followed by 54 Labs and 50 Rhodesian Ridgebacks. Tonight’s competition includes Hounds, Toy, and Non-Sporting and Herding groups. Tomorrow’s lineup is Sporting, Working and Terrier Groups followed by the presentation of Best In Show. 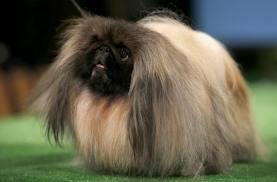 Last year’s Best In Show was a Pekingese. A Fox Wire Terrier has won Best In Show the most, 13 times. Next is the Scottish Terrier with 8 BIS wins followed by the English Springer Spaniel with 6 Best In Show wins. These are the only 3 breeds to win more than 4 times. It was first held in May 1877 and is the second-longest continuously held sporting event in the US. Only the Kentucky Derby has a longer streak of events. 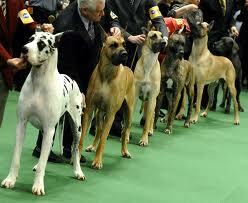 It was started as a show for gun dogs by a group of hunters that met at the Westminster Hotel in Manhattan. They created a kennel club for the purpose of holding a dog show. Enjoy the show the next 2 nights and feel free to comment on what you liked or didn’t like! Pet owners spend hundreds of dollars to make sure their pets have the best in everything: food, day care, and even bedding. 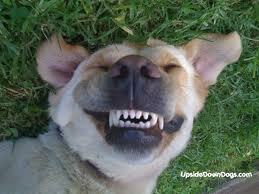 But one thing that is frequently overlooked by dog owners is dental care. The American Veterinary Medical Association estimates that only 1% of dog owners brush their dog’s teeth, so they’ve declared February as National Pet Dental Health Month. “Periodontal disease is the most common health problem that veterinarians find in pets,” explains Dr. Douglas Aspros, president of the AVMA. “Dental health problems are extremely common, and many are very painful and can lead to serious systemic conditions.” That’s why it’s so important for you to have your pet’s teeth looked at when you take them to the vet. 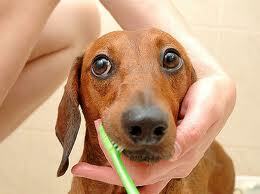 On their website, you can find videos that show how to teach your dog or cat how to accept a daily brushing. *Bad breath—Most pets have breath that is less than fresh, but if it becomes truly repugnant, that’s a sign that periodontal disease has already started. Your vet can also recommend for you chew toys and food to improve your pet’s dental health.